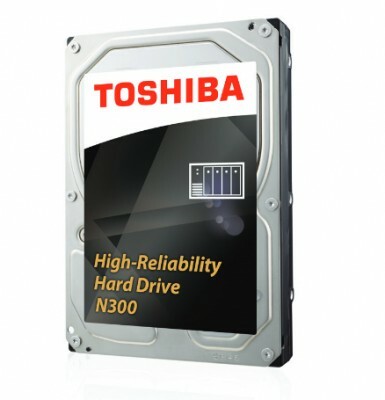 Toshibaâ€™s N300 3.5-inch internal hard disk offers unprecedented reliability for NAS and other high-performance storage systems. It is optimized to meet the reliability, endurance, performance and scalability requirements of 24-hour x 7-day high-capacity storage for personal, home office and small business use. The N300 is available in capacities of up to 8 TB.